Despite the mounting risk of a wider military confrontation following Israel and Iran’s exchange of fire across the Syrian border on Wednesday night, the Israeli shekel has only strengthened against the dollar and the euro. Protracted military engagement would undoubtedly be harmful to Israel’s economic activity, but financial indicators, such as foreign exchange rates, suggest the country is perhaps better prepared than it has ever been for to weather a conflict. 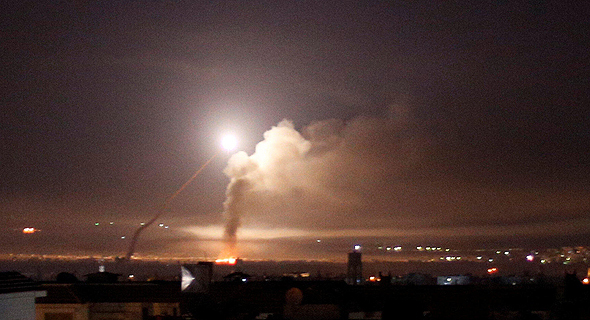 The Israeli military announced Thursday morning it had hit Iranian military targets in Syria following an unsuccessful rocket attack against Israeli forces in the Golan Heights. 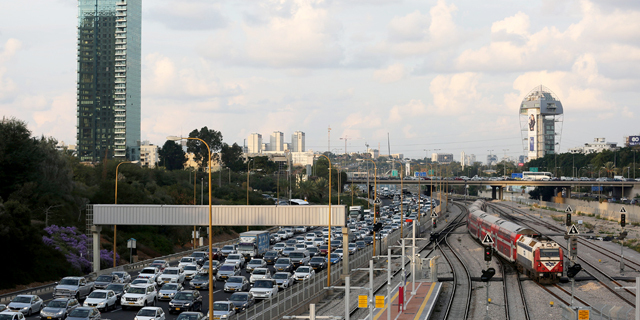 “The escalation at the northern border is not a positive development,” said Ronen Menahem, who heads of research and strategy Mizrahi Tefahot Bank Ltd., one of Israel’s largest financial institutions. The confrontation failed to rattle markets, Mr. Menahem said, adding that he expects the Israeli economy to remain resilient. Israel recently reported its economy had grown by an impressive 4% in 2017 beating the 3% rate that was expected. The government forecasts a 3.5% GDP growth rate for this year. The country’s unemployment rate is at a historic low of 3.7%. War can lead to rapid devaluation of domestic currency, which can cause a spike in inflation. But Judging by Israel’s conflict in Lebanon in 2006 and in Gaza in 2014, the devaluation may last for only a few days. Even if the shekels loses value against the dollar, that could be a good thing after nearly a decade of trending in the opposite direction. Israeli exporters, in particular, would benefit from a weaker shekel. Likewise, inflation rates have been extremely low for the past four years, and the country’s central bank, the Bank of Israel, has been hoping for more inflation. The Bank of Israel studied the economic impact of the 2006 Lebanon War and found a 0.35%-0.5% drop in output, which represents of loss of $1.2 billion to $1.8 billion. The economy managed to recover quickly. The central bank also found that industrial production tends to stay stable during military conflict, especially activity by tech companies. Since the last military engagement, the composition of Israeli exports has only become more dominated by tech services. If the conflict with Iran continues to escalate, Israel can lean on a record $115 billion in foreign-exchange reserves. Enjoying its best ever credit rating, the government could also easily turn to debt markets. The Israeli economy’s Achilles Heel during times of war is tourism, which is at an all-time high. 2017 saw 3.6 million people visit the country, according to the Israel Ministry of Tourism. They added about $5.6 billion to the Israel economy. Next year, tourism is projected to grow even more and bring in $7 billion. A temporary drop in tourism would not have a profound impact on Israel’s overall economic output, but for the 150,000 people employed the industry, the consequences could be severe.